We're always looking for volunteers to help with serving or greeting -- want to help this year? 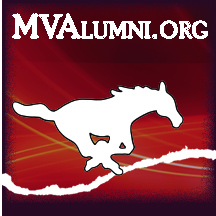 Write alumni@mvcsd.org or call Kathy at 319-389-8602. 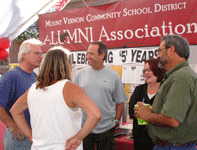 RECEPTION: While uptown during Heritage Days, stop in to visit and sit down awhile at the All-Alumni-Community Reception. Located in the old fire station up town. Displays, Alumni items, 2019 Heritage Days Bottle of Water. Friday 4 pm to 9 pm, Saturday 11:30 (or after parade) until approx. 7 pm. Hours may change.